Home FitnessRunning Progressing from a Half Marathon to a Full Marathon – Taming the Big Beast! 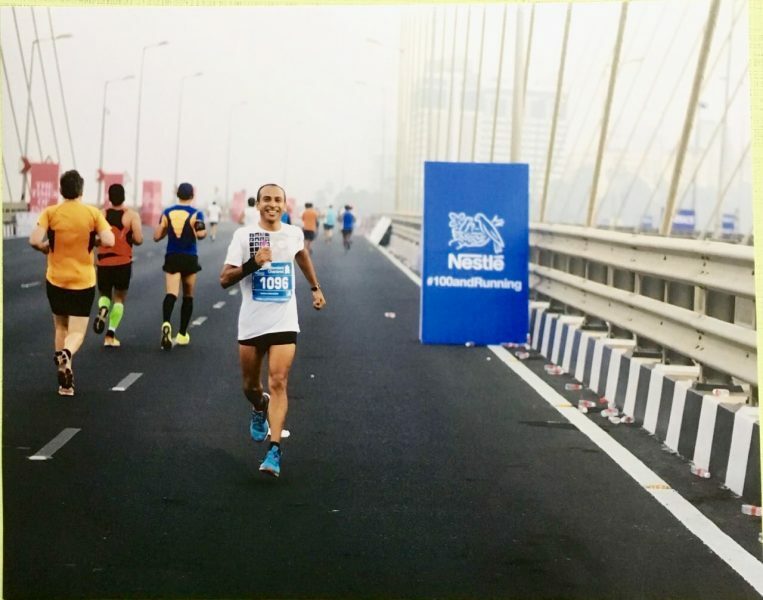 Progressing from a Half Marathon to a Full Marathon – Taming the Big Beast! The time of year has arrived when progressing from half to a full Marathon is going to be a dream come true. Training right and adequately would be key to staying strong and injury free. I take it that some of you guys would be looking forward to your journey to Full Marathon and aspiring for a Marathon status (26.2 miles/42.195 Km). You are now about to train your mind, body, spirit for the long training hours that you will agree to commit to yourself. You will need to train and practice running long which means staying longer on your feet and it truly doesn’t matter if this can come as a combination of run + walk. Finally, don’t forget to spend quality time reading, discussing, talking so you are sure you are not only doing things rightly but doing right things. Finally, lets respect the distance. I am not an expert on Marathons, neither a coach. I am an amateur runner like you who has run just 4 marathons but constantly evolving and updating myself. I can give you some handy tips that you could use in your quest to graduate from a half marathoner to a full marathoner status. Select your race wisely– Choose a flat course. Cold/hot or humid environment in your home city, out of your city or abroad.Your training strategy then should take into account these conditions you would be participating. Once the above is figured, create a plan by having a mentor, coach or an experienced runner. Being a part of a good running group helps – You can get quality mentoring by group leaders who share long distance run plans, the benefit of buddying helps to split the load so you feel light and happy that there are others who are sailing in the ship that will take you strong to the port of destination. 18-24 weeks of training is best recommended for a marathon training by introducing variety of workouts focussing on your regular running, Strengthening, flexibility, core work out, Speed, Tempo, Hill repeats and Long Runs. Having said that the time of 18-24 weeks is give your body enough time to adapt to higher mileage, adjustment in nutrition the changes that you would need to make for the bigger game. Here is a great read from Runners Guide that I usually share with all my friends. Click here. Different strokes for different folks: Stick to your plan and what works best for you than what works best for others so you get used to the best fit approach. Some plans would have 6 days of running focussing on mileage, some will have 3 days of running with some cross training and mobility drills. Select the plan that you think you will be able to commit to and do justice to. Don’t focus on racing or pace rather on focus on taking the distance head on and reaching the finish line strongly. We all know we are different in every aspect, our bodies are different and would react differently to different situations. Don’t ignore basics such as a good pre-run warm-up and post run stretches. Adequate foam rolling myofascial release. ( Click here and here to read about Injury Pevention through Myofascial Release). Include Yoga, cross training such as cycling and swimming on few days. This will keep you injury free and strong. Must do before all Long Runs : Roll well, warm-up well, stretch well, roll again. The day after a long run short recovery run and walk followed by some nice stretches non-negotiable. Click here for some great stretches for Runners. Click here for hip flexors for Runners. Do your training runs on mud/soft surfaces as far as possible on week days with your long slow distance runs that can happen on tarmac. Having a good shoe is important the one is made for you, get a gait done before you finalise the shoe, make sure you replace it after 500-700 km. Gait analysis is a one-time activity and is worth your time. Paying attention to Pre-run, During the Run and Post-Run is extremely essential. Click here to read about it. Pre-run meal is like you never take your car on a highway without going tank-up. Consider you are hitting the highway and going long so you need to fuel-up. Click here to read about it. During the Run : Hydrate with sports drink, electrol, Gels, Energy bars etc anything that suits you. This is all about Learning to go Long and the adjustments that you will have to make in your diet, hydration and most importantly your attitude. This phase you will set long distance critical milestones such as your First 25 km, 30 km, 32 km, 35 -36 km and would need oodles of mental strength and attitude to conquer the distance with a smile. It all about gradually building mileage go slow go easy check how your body is responding. Slowly enhance your mileage by not more than 10-15% mileage. Not every Sunday will be your long runs, there are times it will be wise enough to scale down or instead of scaling up. Stop training immediately if you see any warning signs such as any niggles, pain don’t remain in the excitement of training. Should the pain persist, step back, take appropriate controls such as icing, rest or as simple as showing it to a sports doctor so your beautiful journey for which you are putting all your sweat and blood does not get jeopardised. While you would be constantly working out doing strength workouts and do not forget your best distance buddies here I am specifically referring to the 5 km, 10 km, 12 km and 15 km. It is here you need to make some changes, adjustments to diet, hydration and building strength through appropriate strength workouts. Longer you run more carbs, fluids need to be fed to your muscles that will help you run long and strong. This phase is as much of testing your mind and guts for crossing the distance barrier as it is for testing the right nutrition, gear, hydration/drink/gels that would work best for you so you know exactly on the race day what to take along with you. I am taking it that you would follow a rolling schedule of twice a week, long walks and stretches on your rest days. First Sunday targeted distance 21 km, Second Sunday 25-26 km and third Sunday an easy 15-16 km and Finally the last week just keep your mobility which can include long walks of 5-10 km. Slow easy runs of 5km and 10 km. Last three days keep your legs fresh, stretch, roll, focus on nutrition, fluid intakes. Keep your gear, smile ready for the race day. On the race day hit the start line strong, smiles ready for the cameras, acknowledging the cheering squad, volunteers, post-race moments. A word of caution please do not try or experiment anything new on the race day.Stay calm and stress free. Good Luck on this important journey of yours, I am sure this will be transformative. How to spend your final week before the Marathon. It’s not the shoes that make you a Good Runner. Running and Off-Season – How did it go and What’s Your Plan?